These were… fine. 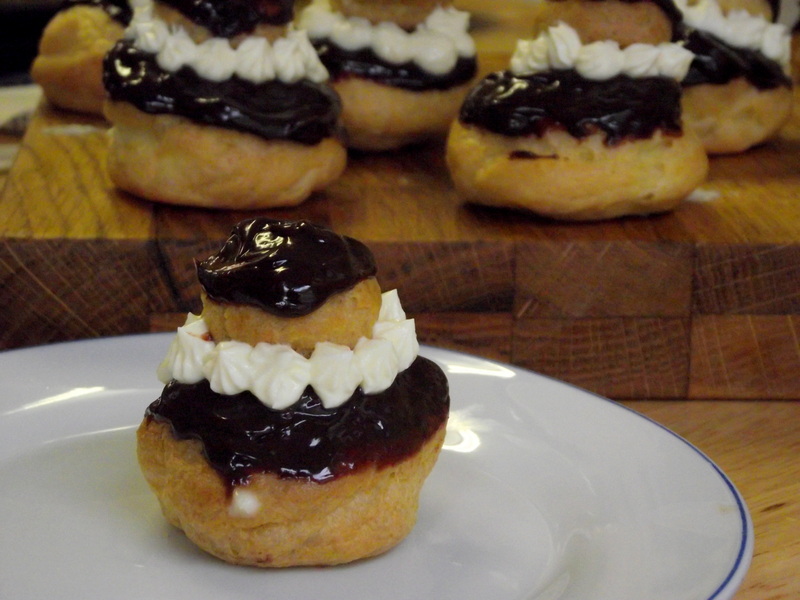 Choux pastry is lovely, as is creme patissiere (or creme pat as the bakers all call it, making me think of cowpats), as is ganache, but together they’re just not as exciting as the name suggests. I used the leftovers to make some little eclairs which were much more pleasing, I think just because the ratios were better (a whole ball of creme patissiere can be a little cloying…). 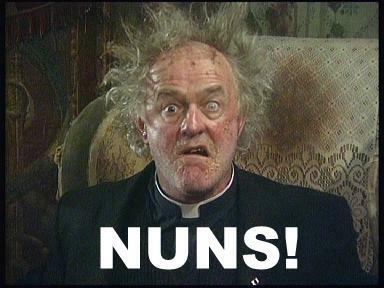 The prospect of the all-female final is also not as exciting as it should be, mainly because I don’t particularly feel that any of the bakers are as wonderful as they have been in previous years. Bring back James and Brendan! 1. Line a baking tray with parchment and draw on eight 5cm circles and eight 2.5cm circles, leaving a bit of room in between. 2. Heat the butter in a heavy based saucepan with 150ml water until it melts. Bring to the boil and immediately remove from the heat before tipping in the flour. Stir quickly until the mixture comes together, then return to a low heat. Cook for 3-5 minutes, stirring constantly. 3. 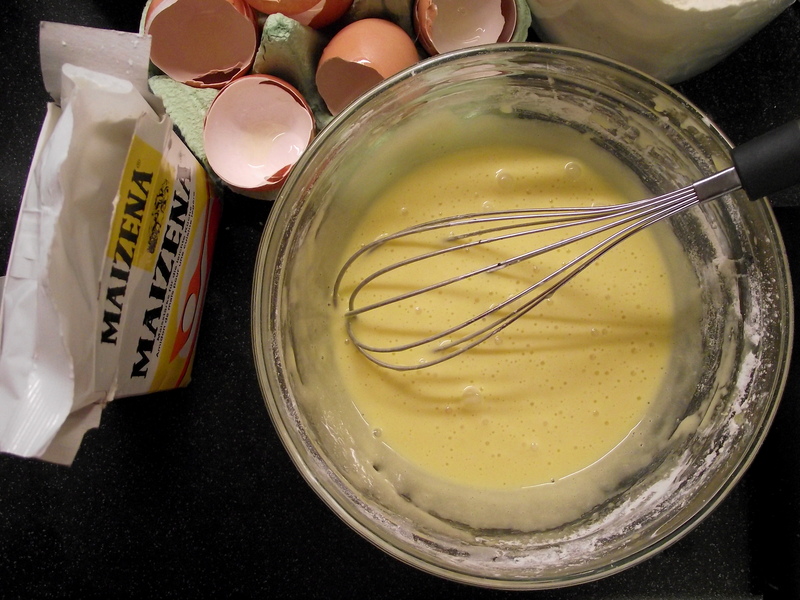 Leave to cool slightly then add the beaten eggs a little at a time until the mixture forms a smooth paste. 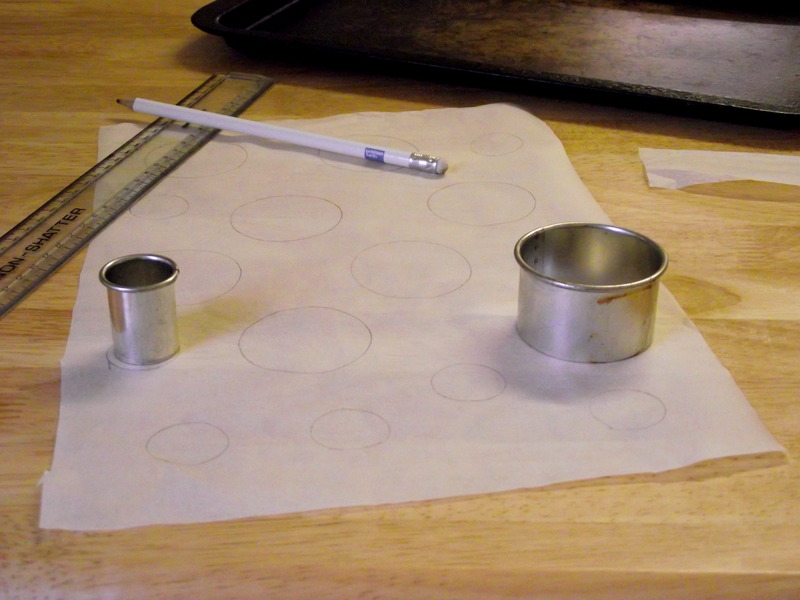 Transfer to a piping bag with a large round nozzle and pipe discs onto the circle templates. Smooth down any peaks with a wet fingertip. 4. Bake at 220C for 10 minutes, before turning down to 190C for a further 10-15 mins. Remove from the oven, pierce the base with a skewer to allow any steam to escape and return to the oven for a further 4-5 minutes. Leave to cool. 5. Gradually heat the milk and vanilla seeds until it reaches boiling point, then remove from the heat and leave to cool for 30 seconds. 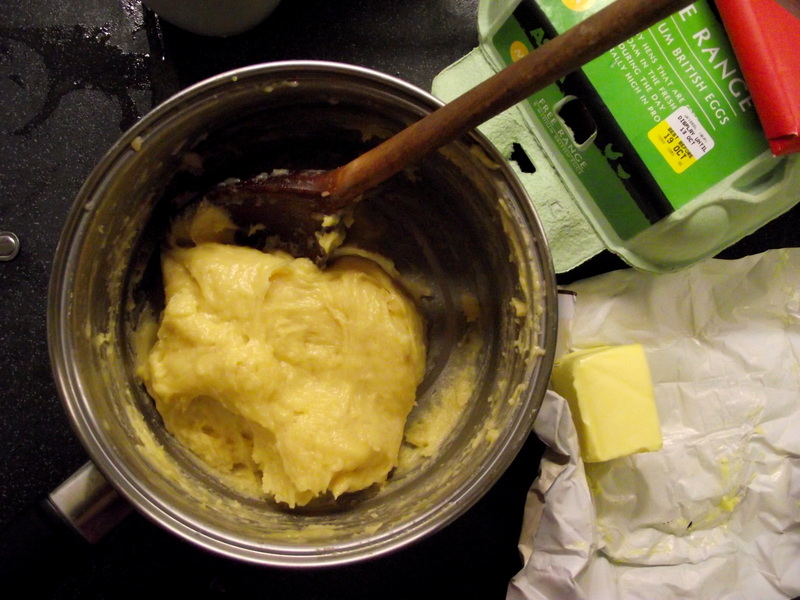 Whisk together the egg yolks and sugar in a bowl until pale, then add the cornflour and flour. 6. Pour the milk over the eggs, whisking continuously, then return to the pan and cook for a further minute. By this point the creme patissiere should be a thick paste. 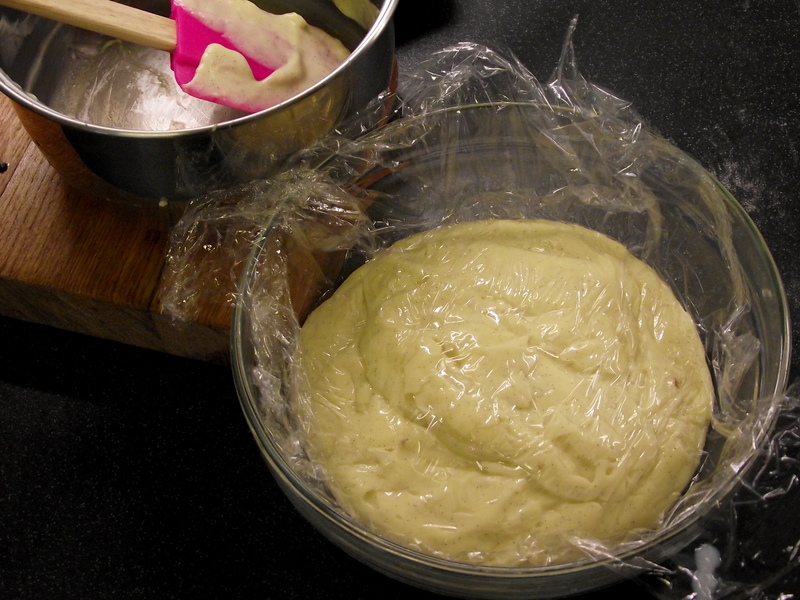 Leave to cool in a bowl, lining the surface with clingfilm to prevent a skin forming. 7. 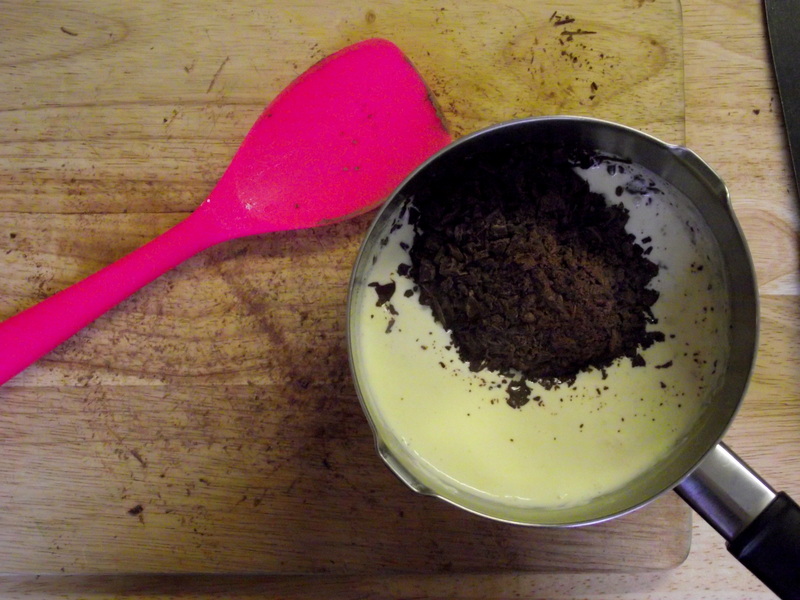 Make the chocolate ganache by heating the cream to boiling point and pouring over the chocolate. Stir until smooth and glossy, and leave to cool. 8. 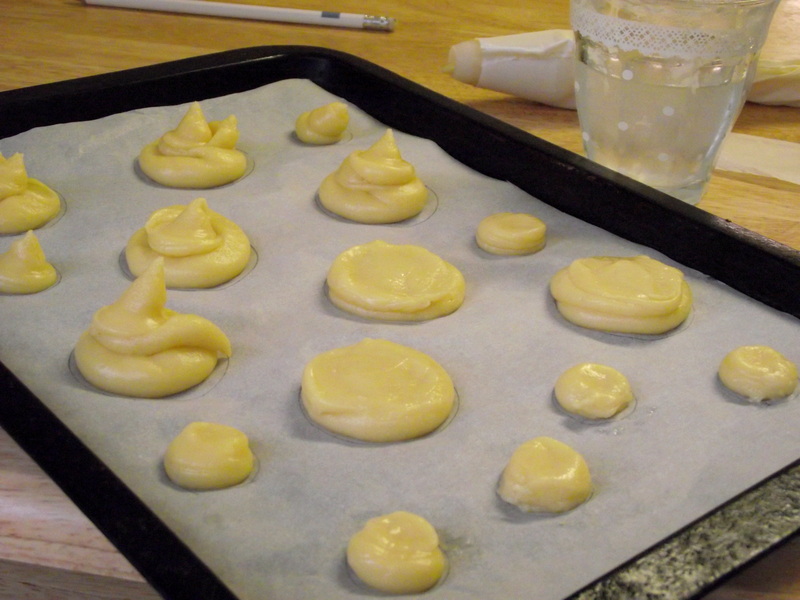 To assemble, pipe the creme patissiere into the base of each choux bun until full and puffed up. Dip each into the ganache to coat the top half, and rest the smaller buns on top of the larger ones. Pipe whipped cream collars to cover the joins using a small star shaped nozzle.